Hi lovelies! For this month's Disney nail art collab with the lovely Sam, the theme was Bambi and as there wasn't really a "couple" for us to do this month, we picked our own characters for our designs. As Thumper means a lot to me - he was my first ever Tsum Tsum which the boyfriend bought for me (naturally I blame him for my collecting addiction!) - I decided to base my design around this loveable bunny. As usual I kept things pretty simple (a reflection of my lack of nail art skills really...!). 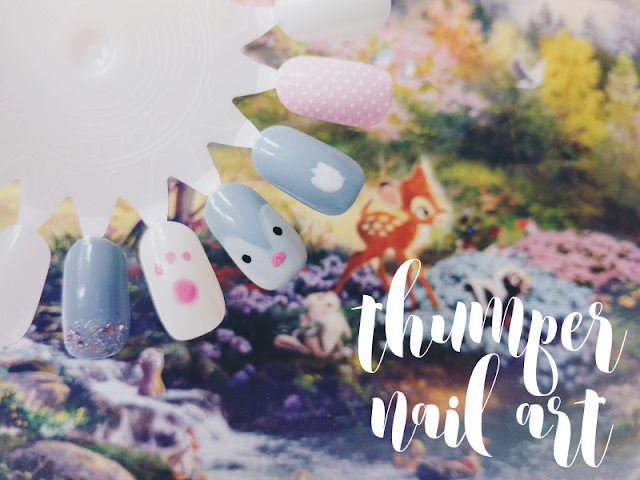 For the centre three nails I painted on elements of Thumper - his paw print, face and his adorable little tail. 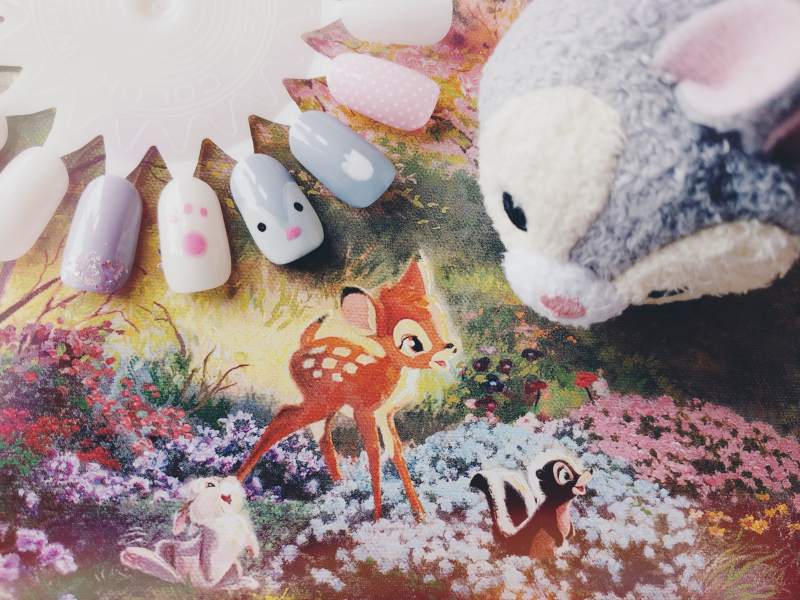 And then for the remaining two nails I did a polka dot and a glitter nail using Thumper's colours - grey, white and pink! What do you think? If anything I've at least figured out how to do decent polka dots now so you'll probably be seeing a lot more of that pattern in my next few nail art posts haha! Make sure to check out Sam's design for this month - it's the cutest thing ever!